ENCINITAS — The first of a monthlong series of final open houses was held on Oct. 11 for the citywide Pedestrian Travel and Safe Routes to School Plan. The goal of the plan is to make walking safer for school children and residents, and encourage people to get out and move. 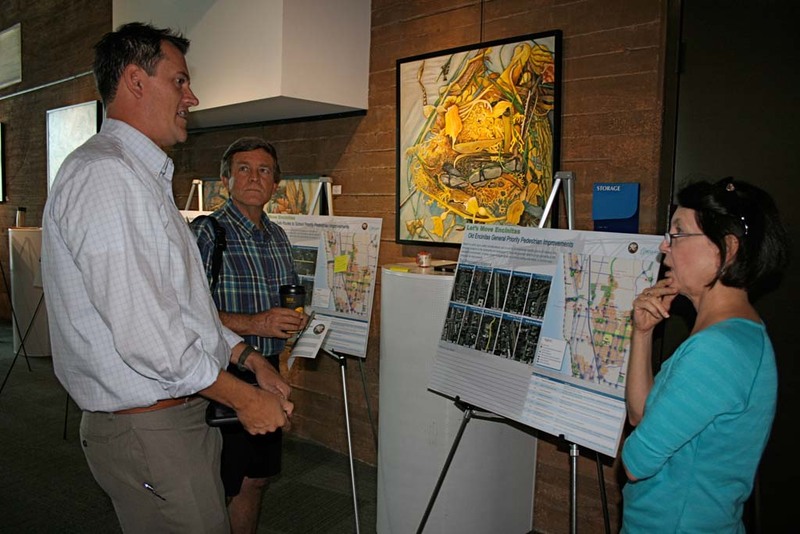 Eighteen residents attended the workshop held at the Encinitas Library to review 10 prioritized citywide improvements. Ten additional improvements were reviewed for Old Encinitas in the neighborhood bound by Via Cantebria and Crest Drive to the east, West Bluff and Union Street to the north, the ocean, and Santa Fe Drive to the south. Workshop organizers said the turnout was high. Most community input throughout the two-year planning process has been received through the city website. Brian Gaze, Circulate San Diego program manager, said prior feedback commented on speeding drivers, and lack of sidewalks and crosswalks in the city. At the Oct. 11 workshop display boards and an interactive game station were set up to collect further input on infrastructure changes that will be presented to city commissions after November and City Council in January or February. Take-home maps of safe routes to 12 Encinitas public school were also available. The maps marked recommended walking routes within 15 minutes of schools, and other good routes outside those zones. “There’s a high level of kids walking to school in areas that don’t have sidewalks or have railroad crossings,” Gaze said. If draft plan recommendations are approved by City Council, they will serve as a guide to future street and sidewalk improvements. Recommended improvements consider collision history, points of interest, community input and health of residents. Areas where residents have poor health and would benefit by walking are given priority. Christa Villa, city associate civil engineer and project manager, said health benefits are based on the concept “build it, and they will walk.” She said improvements would prompt more walking by increasing safety and beautifying areas. Providing pedestrians access to schools, recreation centers, libraries and transit stops also received precedence. Each improvement recommended in the plan will still go through engineering, have funding determined and require City Council final approval. Depending on the size and scope of the project, improvements may need to go through a public review process. Workshop organizers stressed the draft plan is not the final say in identifying top priorities or needed changes. “What we’re hoping to get from the workshops is to hear if we’re on the right track,” Gaze said. Public comments will continue to be collected through the final workshop series and be presented to the city along with the draft plan. The plan will continue to be revised every five years. Villa said the intention is to keep the pedestrian plan relevant. She added the previous plan was made well over five years ago, and without a lot of community input. The Pedestrian Travel and Safe Routes to School Plan is funded by an $183,000 Caltrans Community-Based Transportation Planning Grant, and $27,450 in city funds. Upcoming October workshops will address the top 10 citywide improvements, and 10 specific community improvements for the neighborhood in which the workshop is held. 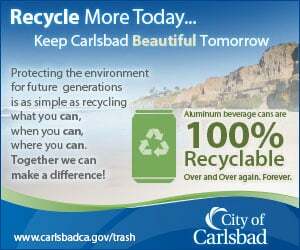 Workshops will be held at 6 p.m. on Oct. 13 at Olivenhain Town Meeting Hall, Oct. 15 at Encinitas Community and Senior Center, Oct. 20 at Paul Ecke Central Elementary School and Oct. 23 at Cardiff Elementary School.